Osinbajo backs embattled EFCC chairman – Royal Times of Nigeria. 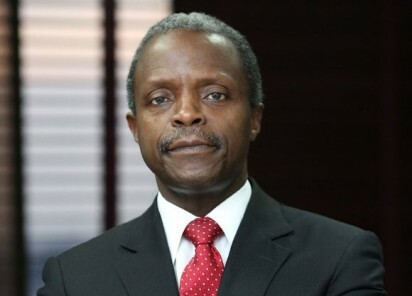 Vice-President Yemi Osinbajo says he is fully in support of the acting chairman of the Economic and Financial Crimes Commission (EFCC), Ibrahim Magu, The Cable reports. Osinbajo made the disclosure at the presidential villa in Abuja during an interview with journalists. He said; “We should commend the president for not interfering with what the DSS said. The DSS came up with a report and the man who was accused refuted it,”. “You see the American example… There are various reports. People come up with all sorts of things. Look at Jeff Sessions (US attorney-general) for instance, there were many reports. Some accused him of being racist, some of this and that, but he is in office today,”. “It is up to the senate to make their judgement, and it is up to us say what we want to do. If our candidate is rejected, we can re-present him. No law says we can’t re-present him. And again, there is the other argument, whether or not we need to present him for confirmation and that’s a compelling argument from Femi Falana,” he said. “His argument is that under the constitution, section 171, and if you look at that section, it talks about the appointments that the president can make. They include appointments of ministers, ambassadors and heads of agencies such as the EFCC. In that same section 171, the constitution rightly said that certain appointments must go to the senate such as ministerial and ambassadorial appointments. Those of heads of agencies like the EFCC do not have to go to the senate. That’s what the constitution says. But the EFCC act, which of course as you know is inferior, says that EFCC chairman should go to the senate for confirmation.